﻿What will it take to awaken a lazy opposition? In the ‘coup’ that led to the emergence of Bukola Saraki as the Senate President and Ike Ekweremadu as his deputy, a cerebral friend had asked a pertinent question. How will the opposition fare in a democracy where one of the most senior senators selfishly joined an APC led Senate leadership as the Deputy Senate President? Well, it could be fair to suggest that Ike who is a seasoned lawyer and lawmaker stooped to conquer in a future battle but if he ever did stumble upon the above wisdom nugget by the legendary Malcolm X how has he fared as an opposition senator? The answer is that he has performed abysmally if at all what we have seen can be described as a performance. You are free to luxuriate in your cloddishness but smart and politically savvy Nigerians are not obliged to flounder about with you. Any discerning political observer would have known that the applause which heralded Obasanjo’s explosive letter will no sooner evaporate as it effervesced. Even though the former president is notorious for his strategy, Nigerians are often so much in a hurry to move on to the next that the euphoria over that missive was never going to last beyond a week. Obasanjo superintended no democracy and should never be our SI unit for measuring good governance. It was he who boisterously strode across the nation like a colossus for 8 years, taking down all that dared cross his path. He willfully rigged in and impeached governors at his whim and but for Asiwaju’s resilience, Nigeria would have been a one-party state when the ruling PDP swept through the polls by ‘winning’ 28 states in 2003. But this essay is not about the selfish and corrupt nationalist, nor will I waste space on the doublespeak by IBB lest we digress and wander too far. Now let us critically dissect some of the issues. Can you imagine the ruling party in opposition while the government of the day reneges on many of its numerous promises to Nigerians? You see, let us not deceive ourselves opposition politics is no cheesecake. No other person than the Asiwaju himself can attest to this. For 16ys he was in the dugout slugging it out with almighty Villa occupants as the leader of the opposition. Half of that time was spent battling Obasanjo who had little political value in his base, but however, had the required international clout and the equally invaluable backing of political power blocs controlled by moneybag generals who have continued appropriating our collective patrimony since the end of the civil war. I was therefore not surprised when Tinubu described Baba’s tantrums as mere politics, the Ebora Owu could have used other means as he has unfettered access to the presidency. Some will ask if he was playing politics when he wrote Jonathan? Of course, else let the old fox show us Jonathan’s so-called snipers. Or have we in our characteristic amnesia forgotten that weighty allegation which the then opposition milked to the extreme with El Rufai’s scurvy list? Who is spearheading the onslaught? Wike may have installed Secondus as the PDP chairman but the Ikwerre politician is smart enough to know that holding on to his base is imperative for his political survival, at least for now. Is it Femi Fani Kayode whom the majority of Nigerians regard as an uncouth parrot that will sing for any government that drops a teaspoonful of porridge on his dinner table? Or Fayose who barks like a rabid dog in the day but sneaks in at night to prostrate and apologise to those he abused? Then we have Reno Omokri, a perky impostor whose primary platform is Linda Ikeji’s blog where he spars with Kim Kardashian and Cossy Orjiakor for social media likes. Just tell me, who is leading the opposition? These vocal few who are supposed to be championing the opposition’s quest to ‘win 30 states in 2019’ are such a laughable bunch that they will be instant hits in the comedy business. They are neither capable of articulating the vision and mission of any serious political party nor are they suited to the onerous task of getting the electorate’s attention let alone convincing them. Sadly, there are few alternatives left in the PDP, for all have stolen and will remain tainted with corruption for life. Whatsmore whatever ace they may have up their sleeves will not be alien to APC which is comprised of strange bedfellows that will do anything to retain the seat of power. That much they achieved out of power, how much more now they have the power and resources. So what will it take to mobilise a robust opposition that can rattle the ruling APC? Who can put together a movement that will convince Nigerians that it cares about our socio-economic well-being? A tall order if you ask me, for in our nascent democracy there is a lot of motion with little movement. We have seen political parties which are supposedly the fundamental crucible of any democracy become opportunistic associations devoid of ideology but dotted with individuals whose major interests are at best self-serving. They have similar manifestos that are often filled with the vacuous rhetoric used to conceal parochial sentiments and avarice. Little wonder then that many have given up resulting in another round of brain drain and a vast number of our people caught in the tragic migrant routes of war-torn Libya. However, we must trudge on because just like they say, Rome was not built in a day. The quest to achieve a just and equitable society must begin with admitting our collective complicity in the bad state of affairs that has plagued our fatherland for ages. Even as we blame politicians for nepotism and corruption, how many of us can honestly say we are not guilty of the same? Like I keep saying, no tribe or region can be absolved from the reasons we have found ourselves in this morass. The degree of complicity, however, depends on which side of the divide you find yourself in. Sadly that irrelevant part is where we have largely dissipated our energy on. As a developing nation, one would expect our political discourse to be dominated by the unemployment time bomb waiting to explode. How can we solve the electricity dilemma? How do we create employment? We should be talking about jobs, jobs and more jobs! This is where former Vice President Atiku Abubakar comes to mind. Truth be told, among all the contenders for the powerful seat in Aso Villa he appears to be the most qualified person for the job. He is no saint like most of us but he has many things going for him. Firstly, he was a Vice President for 8 years. Additionally, he also brings a wealth of experience in both the private and public sector along with him. Furthermore, his sagacity and charisma have helped him build bridges across the length and breadth of the country. And most importantly he has created many jobs and continually harps on job creation whenever he is opportune to speak. Unfortunately, this is Nigeria where our politics is not yet organic. Our available choices are often determined by the same power blocs and I am sure many like me do not see how they can unanimously agree on Atiku. Does that then leave us with the so-called third force? Well in a democracy every group is welcome to the table. All through history we have seen popular movements metamorphose into political parties. For instance, some of the prominent revolts in 1917, 1968 and 1989 resulted in the formation of political parties, trade unions and civil society groups that are still in existence. I leave it to your imagination what a political party led by Nnamdi Kanu and his teeming youths would have added to the mix. Unfortunately, the Igbo intelligentsia and the IPOB leader found no point of congruence in advancing the interests of Igbos. Thankfully Chief Victor Umeh is now flying the APGA flag in the red chamber. How often have we seen obscure parties like the UK Independence Party (UKIP) or the right-wing Austria Freedom Party (FPÖ) gradually navigate to prominence in national politics? Today they are forming coalitions governments with bigger parties where ideologies meet, this is what democracy is all about. Nigerians are generally hardworking people and we don’t demand much too. I have lived among Nigerians abroad and in most of the geopolitical regions of the country to know this. It is time for us to realise that partisan political institutions are not the only means to consolidate democracy. Non-partisan civil society groups can equally play critical roles in this endeavour, and quite rightly Nigerians are currently witnessing an unprecedented participation of civil society organizations in the political economy. So whether it is Obasanjo’s Coalition for Nigeria or Oby Ezekwesili’s Red Card Movement, they are all welcome to the party. But in my opinion, it is not too far-fetched to suggest that any movement that is likely to displace an entrenched political system held in the jugular by retired jackboots will be one that can galvanise Nigerians to understand the significance of aligning their democratic choices with their genuine economic interests. I mean what can be more pragmatic than putting both in the same cart? Achieving this will take longer than you think but will need to begin by enlightening the masses, not just via mainstream and alternative media. We have to go down to the grassroots, hold town hall meetings in the remote areas where politicians steal votes from and leave underdeveloped. They are the ones that queue under the hot sun for hours to sell their votes for N500, the social media vuvuzela activists normally snuggle under the duvet on election day. When we can have a KOWA party aspirant win the House of Rep contest based on his local popularity, then our democratic journey would have truly started. Until then we owe Nigeria a duty to get our voters cards. Join the conversation through disqus comments or via our forum. Click on any of the tabs below to select your desired option. Please engage decently. 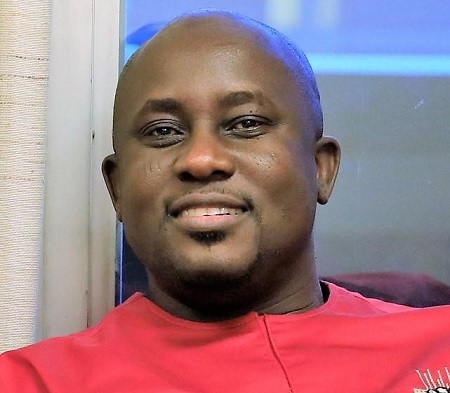 NVS mourns the loss of Pius Adesanmi, one of our foundation members and member of our editorial team. May his soul rest in peace.